The chipmaker is reducing its offer per share by 4 pct if its rival completes its sweetened acquisition of NXP. Sure, Broadcom would still be paying more in total. But the $4 bln price cut looks mean and lowers the odds the two sides can ever plug in a friendly transaction. Broadcom Limited company logo is pictured on an office building in Rancho Bernardo, California May 12, 2016. Broadcom on Feb. 21 reduced its bid for Qualcomm to $79 per share, from $82 per share. The new offer contains $57 per share in cash and $22 per share in Broadcom shares. The move comes a day after Qualcomm agreed to raise its offer to buy NXP Semiconductors to $127.50 per share from $110 per share. If Qualcomm is unable to complete the NXP acquisition, Broadcom will revert to its previous offer of $60 in cash and $22 in Broadcom shares for every share of Qualcomm. 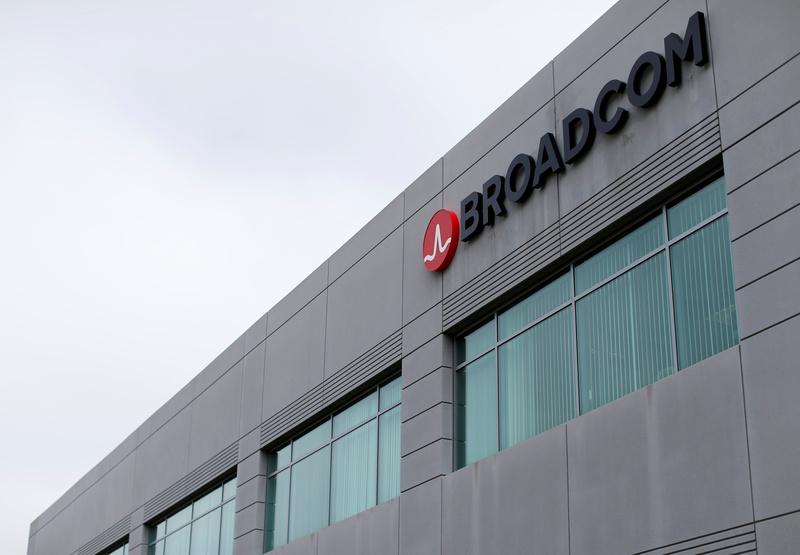 Other conditions of Broadcom’s previous bid remain in place, such as an $8 billion break fee and a 6 percent per annum ticking fee for any delay past the 12-month anniversary of a merger agreement.